Here's a quick summary of the gear you will need to make music seriously in your home studio. All elements are not indispensable: you may not need a preamplifier if your audio interface already includes preamps of good quality. 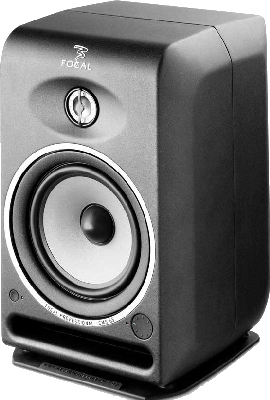 Concerning speaker monitors and headphones, you can also make a choice, even though these systems are very complementary. 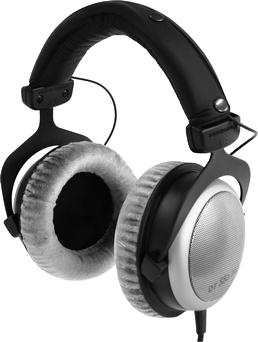 But it's better to own excellent 200-250 euro headphones rather than a 300-euro cheap pair of monitors. The MIDI controller isn't necessary either if you don't intend to use virtual instruments on a regular basis, or if you think about writing your scores with the mouse (which is quite feasible). A microphone won't be of any use to you if you don't intend to record any sound source, like your voice. You should prefer quality over quantity, in proportion to your budget. It's best to be patient and save some money in order to buy the right piece of equipement, rather than spend money on a gear that won't suit you after only a few weeks of usage. Compare, find information, read people's opinions in music forums, ask questions, feel motivated about your buy before you go for it. Impulse buys are OK for 10-euro t-shirts, but having regrets about a 500-euro equipement is way more difficult to swallow! First of all, Mac or PC? Mac are perfectly suited to make music. If you prefer a Mac, no problem, go ahead. As far as I'm concerned, I chose PC for various reasons and it works perfectly too. What can make you choose one side or the other is the software. 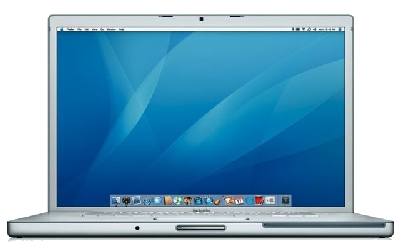 Some music software are only available for PC, others only for Mac, and you should be aware that free software are much more numerous on PC. I will not take that decision for you and I don't want to start a neverending debate. Do as you see fit. - Processor: you need a fast multicore processor. Pick the most powerful processor you can afford. Choose the brand Intel over AMD if possible. - Memory (RAM): nowadays, 4 GB is a strict minimum, but 8 GB or more can be useful in many cases, especially when using very large sound banks. Caution: 32-bit operating systems (like Windows or MacOS) cannot take advantage of more than 4 GB of RAM. If you need more, you will have to get a 64-bit operating system, which has now become a standard choice. You must know that your OS version will determine the maximum RAM quantity you may use. For instance, the Family version of Windows 7 64 bits cannot handle more than 16 GB of memory. The Pro version handles up to 192 GB. Furthermore, all computer motherboards have a limitation as well. Some motherboards won't let you install more than 16 GB, others will let you have 32 GB. Get some information about your OS version and your motherboard before buying more memory and make sure your computer can handle it. If not, it's just a waste of money. - Hard disk / SSD: all computers have a hard disk, or even an SSD for the most recent ones. Ideally, you may want to have 2 hard disks: one for the programs (operating systems and other programs) and one for data storage (all the audio files you will be recording). This will allow for faster access times. Nowadays, 500 GB hard disks is the minimum, but do no hesitate to pick 1 or 2 TB disks (1 TB = 1000 GB). These things tend to fill very rapidly. Once again, be careful, 3 or 4 TB hard disks are not always recognized by older computers. A few words about SSDs: these are the probable successors to the hard disks. They are not disks but are made with very fast Flash memory (like USB keys). Pros : much faster than hard disks, smaller, completely silent, and low energy consuming. Cons: life expectancy is shorter than hard disks, available space is much lower that that of hard disks, price per GB is much higher. SSDs are good as main storage device (the one that will hold the operating system and the programs), but not necessarily interesting for data storage because of their price. It is thus reasonable to settle for a good old hard disk drive at the moment, but progress is swift and there is little doubt that SSDs will soon (a few months? 2 or 3 years?) become more attractive than hard disks. - Screen: two factors should be taken into consideration, size and resolution. As for size, take the biggest screen you can afford. With a laptop computer, 15 inches is not very convenient, 17 inches or more is better, but prices go up very rapidly with a bigger screen. With a desktop computer, 22 inches is the minimum, but why not 26, 27, or even 30 inches! Once again, money will be the limiting factor. Resolution, which is the number of pixels displayed, is important because music software will often open several windows at the same time. Graphic interfaces take a lot of space and with a low-resolution screen, your workspace will soon be overcrowded, which is pretty painful. With a laptop computer, aim for a minimum resolution of 1440x900, but 1680x1050 is more comfortable, and 1920x1080 even better. The resolution often depends on the size of the screen. With a desktop computer, go for an 1920x1080 resolution, which the standard 16/9 Full HD resolution, the same you will find on HD TVs, unfortunately. Why is it unfortunate? Because you can still find a few 16/10 screens with an HD resolution of 1920x1200 (instead of 1080 in height) and these 120 extra pixels are very convenient on a computer screen. When using a DAW, or a video editing software, you can display more tracks, when using a word processor or a spreadsheet software, or even when reading websites, the layout is often vertical. The 16/9 format is well-suited for watching films, but this is far from being the only thing you do with a computer. So if you find a good 16/10 screen, don't hesitate! Do not neglect the quality of your screen, read reviews on the Internet and make sure you pick the right screen because your eyes are going to be watching it for a long time and if its quality is bad, you might experience headaches! Ideallly, 2 screens is even a better choice, if possible identical in size and resolution. This doubles your working space and believe me, it's very convenient. You can live without it, but once you've tried, it's pretty difficult to do without again. I have 2 26-inch 16/10 screens of 1920x1200 pixels and it's great. - Graphics card: let's make it simple... to make music, a powerful and expensive graphics card is useless! The cheapest and most basic cards will be enough. A powerful graphics card is only necessary if you play computer games so if you don't, save the money to buy music gear. - The operating system: on PC, it's generally Windows. There are other systems like the different Linux versions but frankly, unless you are completely allergic to Windows or Mac, Linux is not the best way to make music. It's possible, but not that easy. On this site, I'm going to talk about Windows products, because that's what I'm using. What version of Windows to make music? Windows XP is still present in many computers, even though it's not sold anymore and hasn't been for years. No problem to make music with Windows XP. But there are several reasons why you should change: first, XP is not sold anymore. New programs are released for Windows 7 and 8 and some are not even compatible with XP anymore. This will get worse. There is a 64-bit version of Windows XP, but it was never very popular and not compatible with most of today's 64-bit software. Consequently, Windows XP users mostly own a 32-bit version, which cannot handle more than 4 GB of RAM. Windows XP is doomed to die. If you have Windows XP, you're still safe but you will probably need to upgrade some time soon, unless you are satisfied with what you currently have and do not feel the need to change any software or hardware in your computer. Windows Vista was released after Windows XP. Many people are still equipped with it, and even though it has been criticized a lot, it isn't all that bad. But when it was released, many Windows XP software were not fully compatible with Vista. It took some time for the situation to improve, and then came Windows 7, an improved version of Windows Vista. 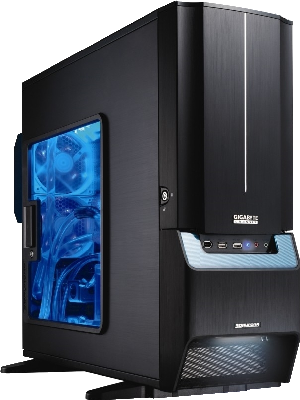 There are 32 and 64-bit versions of this system, and the best choice is obviously the 64-bit version, which is able to handle more than 4 GB of RAM. Windows 7 is the first Windows where the 64-bit versions have sold more than the 32-bit versions. More and more software made for Windows 7 are 64-bit compatible, and computers with more than 4 GB of RAM are now pretty common. And finally, Windows 8 was released in October 2012, as the successor of Windows 7. New PCs are sold with Windows 8, but there is no worries for the current Windows 7 owners. Windows 7 sold so well that developers will go on releasing compatible products for quite some more years. But the release of Windows 8 will speed up the abandonment of Windows XP and Vista. No, integrated or multimedia sound cards are not suited to make music! Not if you want a decent result or if you want to use real-time effects. To make music, you have to make a step forward and get an audio interface. They are separate devices, connected to the computer through a USB or a Firewire cable. Check before you buy! All computers come with USB connectors but Firewire connectors are not that common, especially with laptop computers. Audio interfaces have several IN connectors (plugs in which you can connect microphones or instruments such as a guitar), usually between 2 and 8 connectors and several OUT connectors as well. Almost all of them have MIDI connectors, a headset connector and digital connectors (I have never used these myself, but you may be interested in having some...). 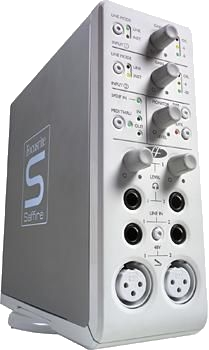 Compared with a simple sound card, audio interfaces differ thanks to the higher quality of their components which deliver a more faithful sound quality, their analog/digital converters are better (they change the analog sound you record into digital data that your music software can use), they include preamplifiers of various quality depending on the brand and the price range... They also allow you to simultaneously record one instrument for each IN connection. For instance, you may record a band with 2 guitar players, 1 bass player, 1 singer and one drum set, and in your DAW, you will get 1 track per musician. This is impossible to achieve with basic sound cards. Another advantage with audio interfaces is to allow you to play or record without any latency. Latency is the time between your playing an instrument (like a guitar or a keyboard) and when you hear the sound in your speakers or your headset. With a basic sound card, there can be half a second and this makes any good recording nearly impossible to achieve. 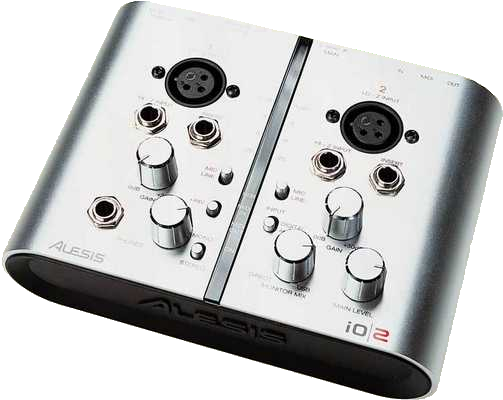 There is a solution though, if you cannot afford buying an audio interface: use Asio4all, a small program that will strongly reduce the latency of basic sound cards. Official website: click here. Audio interfaces on the other hand will allow you to set the latency so that it becomes inaudible (down to only a few milliseconds). But this has a cost: the shorter the latency, the more the processor will be busy. If your processor is not powerful enough, setting the latency to a low level will generate irritating noises (craking and crackling sounds, sound breaks). So there might be some compromises to do. But anyway, audio interfaces are a must to make music in a home studio. As always, pick the best quality you can afford, evaluate your needs so you choose the right device, get information from other users (on music websites such as Audiofanzine)... Choose carefully. A preamplifier (preamp), or control amp in some parts of the world, is an electronic amplifier which precedes another amplifier to prepare an electronic signal for further amplification or processing. The preamplifier circuitry may or may not be housed as a separate component. 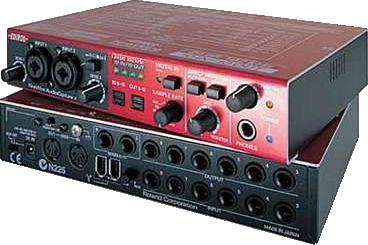 A low-quality preamp will result in a low-quality audio signal. 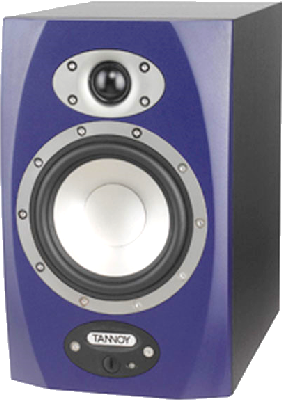 Studio monitors, also called reference monitors, are loudspeakers specifically designed to produce relatively flat (linear) phase and frequency responses. In other words, there will be no emphasis or de-emphasis of particular frequencies so that the loudspeaker gives an accurate reproduction of the tonal qualities of the source audio. Never mix with a walkman headset or cheap multimedia speakers, or even hifi speakers... None of these are neutral. 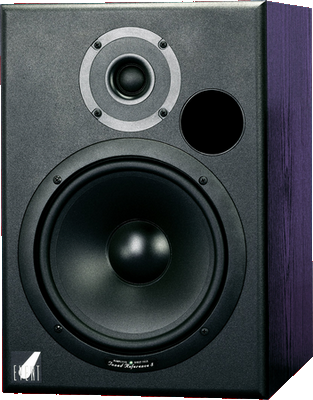 There are two types of studio monitors: active and passive. 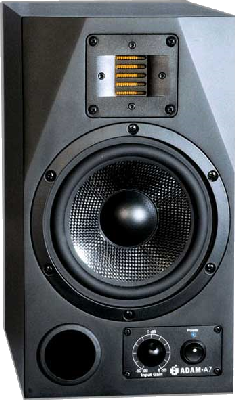 Passive monitors are like hifi speakers, you need to connect them to an amplifier in order to deliver sound. 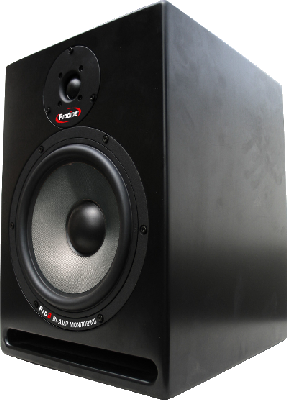 On the other hand, active monitors have a built-in amplifer within the speaker case, so you do not need a separate amplifier. You simply connect them to your audio interface to get some sound. 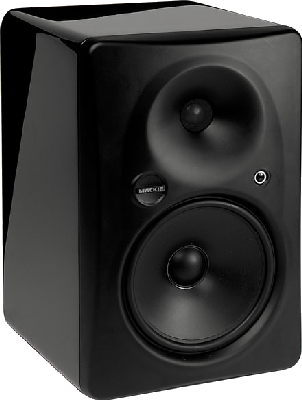 They are more expensive (and heavier) than passive monitors, but also sound better. For a home studio purpose, you do not need very powerful monitors. About 40-60 watt should be enough for an average room. Good headphones will allow you to listen to your music without bothering anyone. You can even use them for some mixing if you don't have a choice. But mixing with headphones is not recommended, so if you plan to do so anyway, make sure you get a very good headset and of course, this has a cost. The headset will also be used when recording voices, so you can listen to the music without turning the monitors on (or else, the microphone will record the music from the speakers along with your voice), and will also be used to listen to your song with a sound that is different from your monitors. 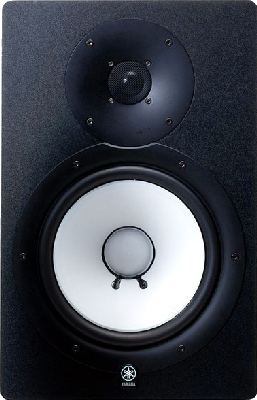 One of the main differences between monitors and heaphones is the way you hear stereo effects, and the balance of low and high frequencies is also affected differently. This headset has it all: it is comfortable to wear, light, it is not too tight, its cable does not curl and is long enough to move around. But first and foremost, it sounds extremely well. The sound is very balanced and rather neutral, allowing you to mix correctly, which is rare with headsets. Lows, mediums and trebles are very well defined. In a word... great! It costs around 150 euros/dollars and, in this price range, there are few competitors. I have been using it since 2006 and am totally satisfied. The DT880 Pro model is the upper range from Beyer Dynamics. It costs around 250 euros/dollars and can help to mix without monitors. It won't replace good monitors, but if you don't have the money to get decent monitors, it's better to get this kind of headset rather than mix on an inappropriate pair of cheap monitors. That depends on your taste and the money you have. After all, the good guitar is the guitar that gives you satisfaction, no matter what brand or how much it costs. The sound comes mainly from the player. A good guitar player will make a cheap guitar sound much better than a bad player with a 3000 euro/dollar guitar. The quality of the wood, the microphones used, the coating, the weight, the shape, the balance, the tuning, the color, the price, an irrational attractiveness... all these factors, subjective or objective, will have to be considered when choosing a guitar or a bass. It is strongly advised to try a guitar before buying it, even for just checking that it fits you. 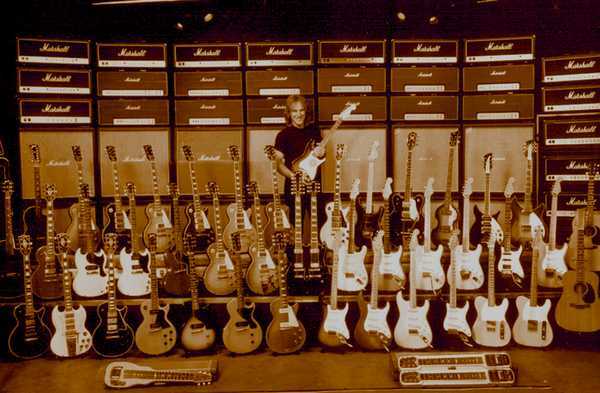 When trying an electric guitar, do not hesitate to play without plugging it in an amplifier. If it just sounds right that way, if the strings sound well with their natural sound, chances are the guitar will also sound very well once plugged. 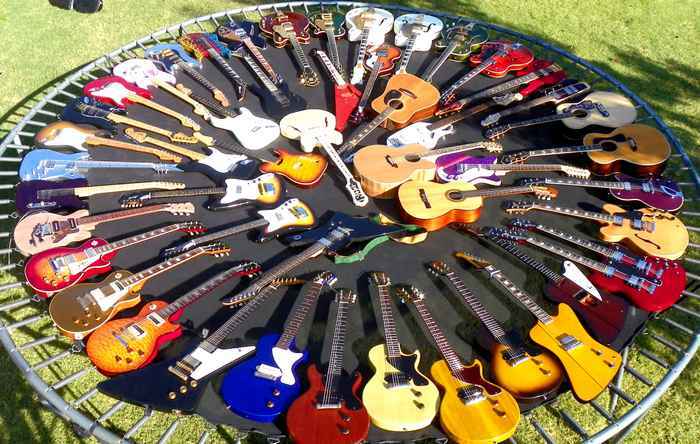 The more a guitar is expensive, the more time you should take to choose it. It would be a shame to spend a large amount of money and realize soon afterwards that you don't really like it. What you feel is important: if you like your guitar, you will enjoy playing it. A MIDI controller is a keyboard that you plug into your computer (USB connection) or into the audio interface (MIDI connection). It is not a stand-alone equipment and it does not include any sounds. Actually, it controls the virtual instruments you have in your computer, or various functions of your DAW. There are different kinds of MIDI controllers (some are like piano keyboards, which I use myself, others have only knobs and sliding buttons), and the piano-like ones usually have between 25 and 61 keys (2 to 5 octaves), depending on what you need and the available room you have. 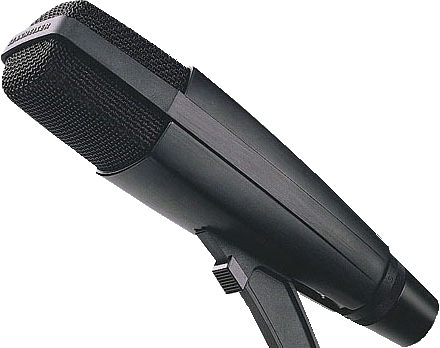 There are three main types of microphones: dynamic, condenser (also called electrostatic) and ribbon. Usually small in size, they are solid and can take high volumes. They are well suited to record guitar cabinets, drums and percussions. Concerning vocals, they are not ideal, but as they are rather inexpensive, they can be a bargain. Many famous singers have used dynamic microphones, such as Mick Jagger (The Rolling Stones). If they suit him, others will be able to do with them! 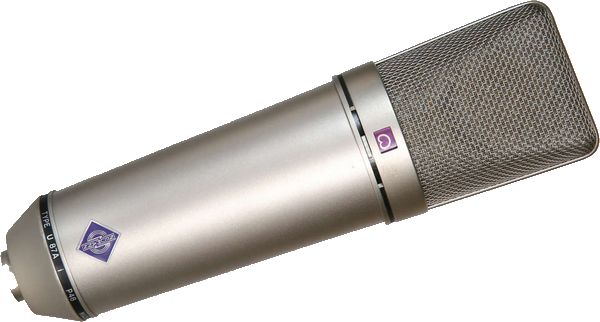 The SM58 is a voice microphone for the stage. IT is sturdy, liable, and not very sensitive to feedback. For recording, it isn't the best choice, mais its price makes it affordable and you can achieve correct results with it. For about 100 euros/dollars, you will have a very decent microphone. The SM57 is very versatile. It was designed to record snare drums and guitar cabinets, as it can take powerful guitar emps. Like the SM58, it isn't the best choice for vocals, but it will do the job corretly for a similar price: around 100 dollars/euros. The Sennheiser MD-421. This is the U4 model. 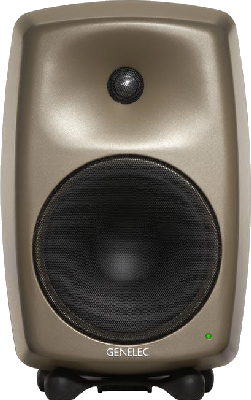 There are variouy models with slight differences in the way they capture the sound (the mediums will be more or less full. About 350 euros/dollars. More fragile than dynamic microphones, they need to be handled with care and you should avoid shocking them or let them fall down. These microphones need electric supply. They either incorporate one, or they receive power through the phantom power that you can activate on the audio interface or the mic preamplifier. These microphones are often used for vocal recordings thanks to their bright rendition. But they are also well-suited for other uses, such as guitar recording (acoustic or electric) and other instruments. These microphones are very sensitive and will easily capture ambiant noises and the room reverberations. Some are so sensitive that they may record the humming coming out of your computer or the cars passing in the street outside of your place. Renowned condenser microphones: Neumann (excellent... and very expensive), AKG C414, Rode microphones, etc. etc. 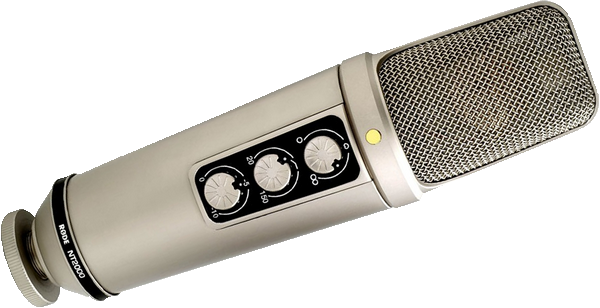 The Neumann U87 is a tried and tested microphone, with a price that most people cannot afford: mors than 2000 euros/dollars! Also from Neumann, the TLM-103 is often regarded as the U87's small brother, but you still have to pay about 900 euros/dollars. 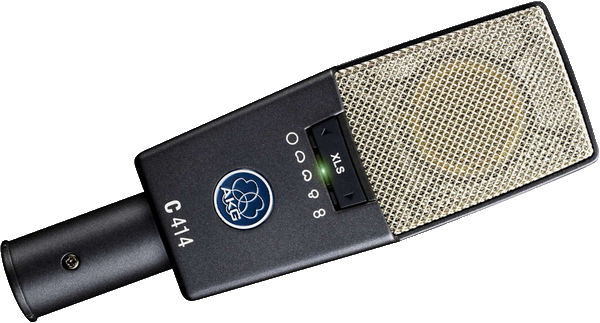 The AKG C414 is a microphone you will often find in professional recording studios, and even in home studios for those who can afford it. It offers several polar patterns and you can find several C414 versions. The price tag is around 1000 euros/dollars, sometimes 900. If the C414 is too expensive, its smaller brother, the C214 offers only the cardioid polar pattern, which is the most commonly used pattern in home studios. It only has one capsule instead of two, and these characteristics make it much less expensive than the C414. You can find it around 400 euros/dollars. The Rode NT2000 offers three polar patterns (omnidirectional, cardioid, bi-directional). Very good for voices, it's a very versatile microphone at about 400 euros/dollars. There are other models in the Rode NT series, either with large capsules (NT1, NT2, NT1000) or small ones (NT3, NT4, NT5). They are the most fragile of all, even if modern version are much less fragile than their ancestors. They are well suited for recording acoustic instruments like strings, brass, organs or ambiant recordings, as well as cabinet guitars. They don't need phantom power (which can actually damage them), but they have a pretty low sensitivity and you need a good preamplifier. 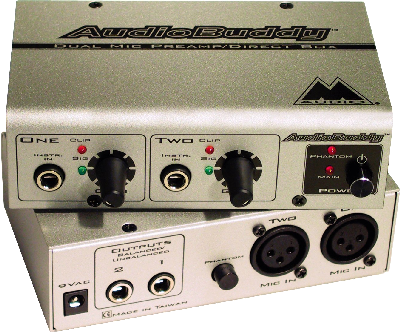 If the one provided within your audio interface isn't good enough, you will need an external one. One advantage to this low sensitivity is that they allow you to record vocals in places with ill-adapted acoustics that the ribbon microphone won't capture. But with weak vocals, the low sensitivity can become an issue. 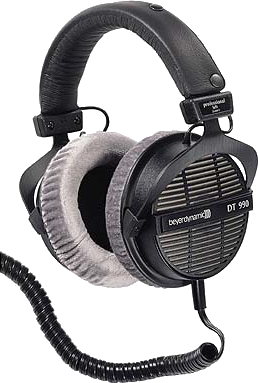 BeyerDynamic M160. It can give very satisfying results, especially for guitar cabinets recordings, close to what you get with a Royer R-121, but around 500 euros/dollars only.